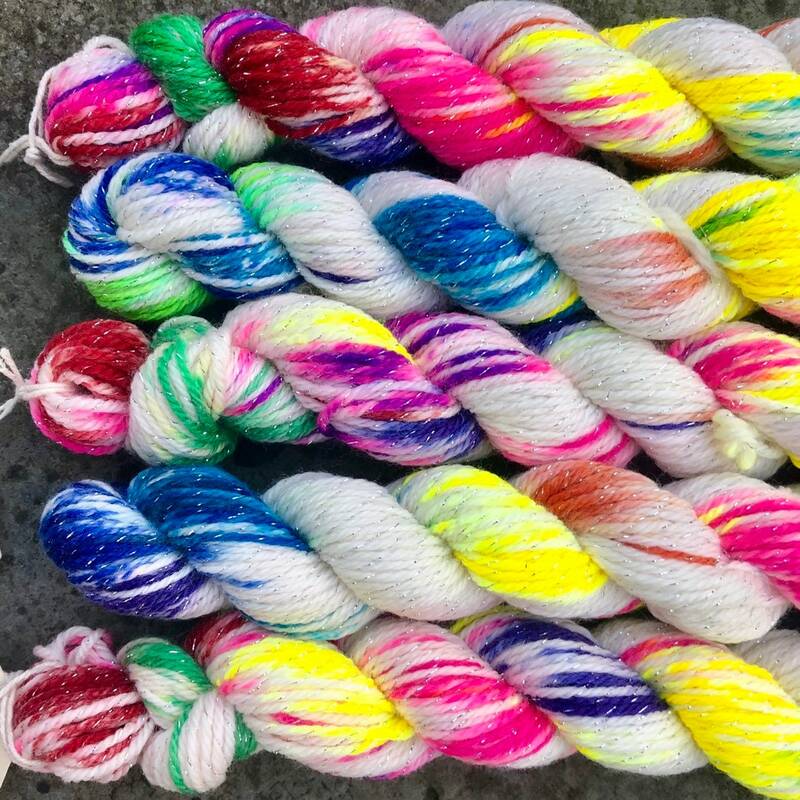 Splattered with speckles of every colour of the rainbow this sock yarn truly is spectacular! It's also dreamily soft and squooshy, a real pleasure to knit with, and gives excellent stitch definition. 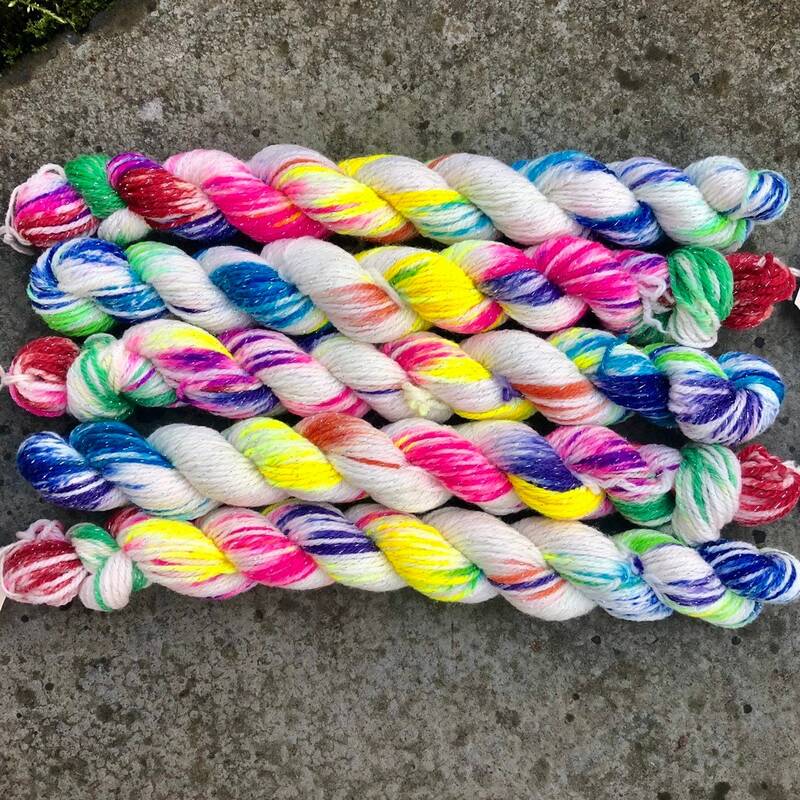 Each mini skein has the same amount of nine colours of dye but the distribution is different every time. This means each one will look unique both before and after knitting up. 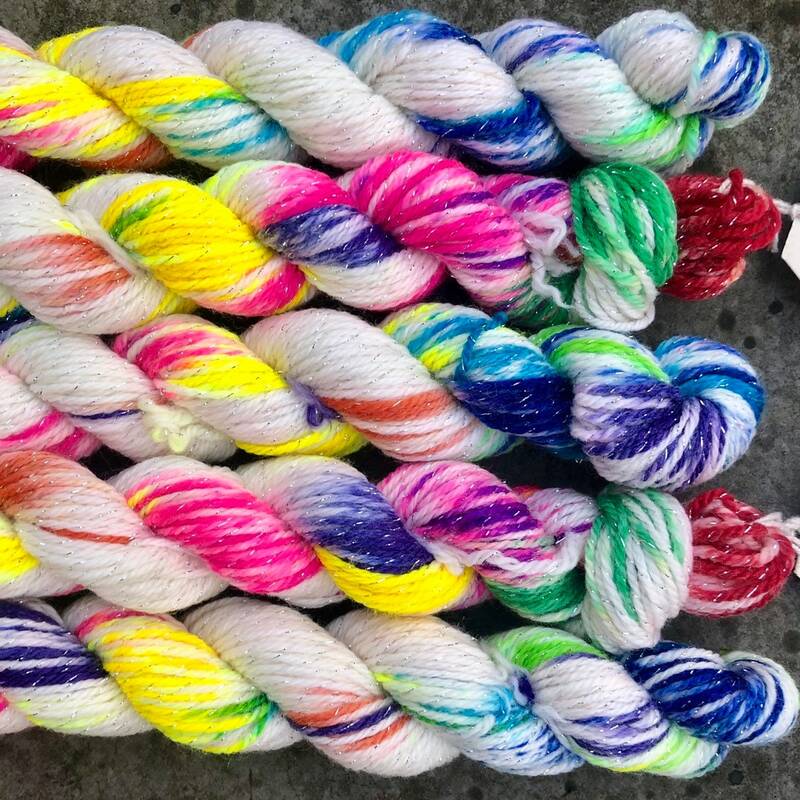 It is superwash treated 4ply sock yarn with 75% merino wool for softness and warmth, 20% nylon for strength and durability, and 5% silver lurex for a brilliant sparkle. It is suitable for approximately 2-3mm needles. 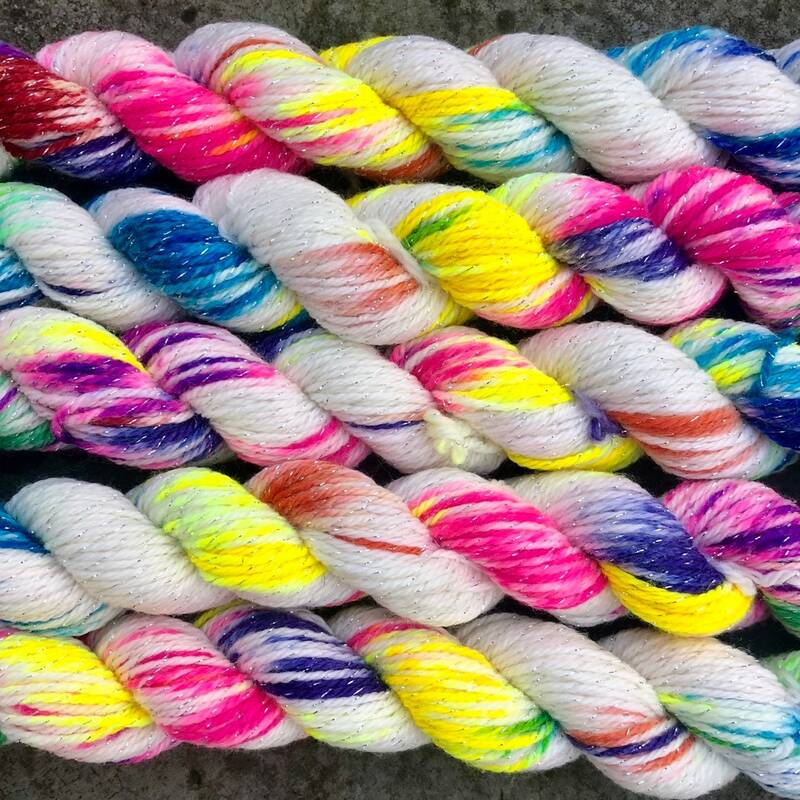 About 80 metres per 20g skein.